GUANGZHOU, China, July 20, 2018 /PRNewswire/ — The 20th China (Guangzhou) International Building Decoration Fair ((CBD Fair (Guangzhou) 2018), which featured more than 2,000 exhibitors spread across an exhibition area of 416,000 square meters, has welcomed 179,413 buyers, a year-on-year increase of 17.76 percent. 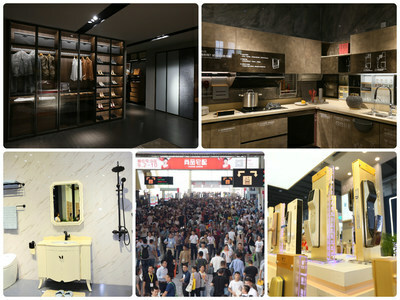 Already the world’s largest tradeshow on household decoration and building materials, CBD 2018 upgraded its customized remodeling track so that it not only offered one-stop purchase service for buyers but also provided access to complete solutions to people searching for customized household decoration packages. In addition to leading brands in the fields of customization furnishing, smart homes, timber door/whole-house wooden decoration, doors and windows, hardware, and kitchen and bathroom, the fair hosted 40 events and forums that covered industry trends, design, market intelligence, brand development, and key distribution strategies, creating a space for industry-wide, global innovation. The next major international decoration fair, CBD-IBCTF (Shanghai), will take place from March 26 to 28 2019 at the National Convention and Exhibition Center (Shanghai) and will showcase more cutting-edge products and services. Founded in 1999, the CBD Fair is hosted twice every year, with CBD-IBCTF (Shanghai) is held in March, and CBD Fair (Guangzhou) is held in July.